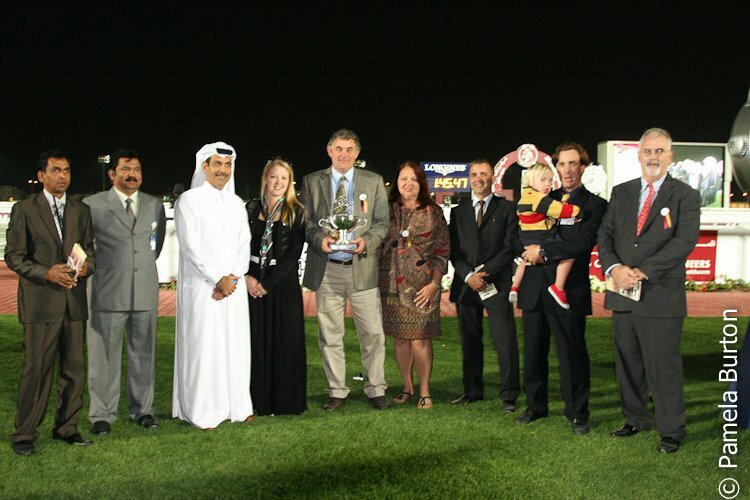 February 29, 2012, Doha, Qatar ~ The second race meet of the Qatar International Equestrian Festival gave race goers a thrill as Harran (Burning Sand x Aziza D’Aroco) won the QR 500,000 purse ($137,350), Qatar International Trophy. The 5 yr old colt from Al Shahania Stud trained by Julian Smart was ridden aggressively down the stretch by Darren Williams besting a field of 14 that included some of the top talent of the region. The 1600m race, the second richest of the Qatar season, was to be contested on this day by another Burning Sand son, the newly imported TM Fred Texas. The top US Arabian racing stallion was withdrawn from the race that would have pitted brother against brother. The triumph was the more sweet, however, as the International Trophy was the second win of the evening for the Al Shahania Burning Sand line. Mekbhatt (x Gardenia Gora), proved the double as he handily won the L/B P/A 1400m Handicap. Richard Mullen was in the saddle for the win on the grey colt for trainer Julian Smart. The first race, the 1600m P/A Maiden Plate, watched Nashmi (Amer x Danie Du Cassou) ridden by Tik Hung So for trainer A. de Meule grab the win from Fiha ridden by Razali Aawari in the closing strides. 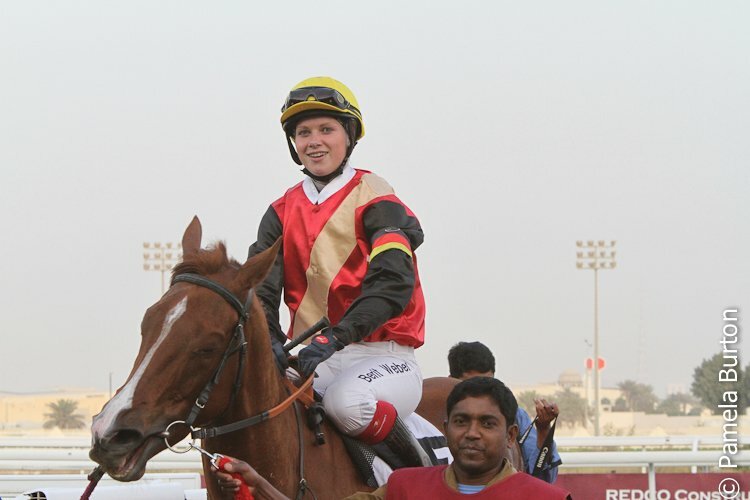 Tameh (Mared Al Sahra – Gathaabah) took the 1600m L/B Handicap from a field of 17 horses under jockey ,M. Lawson for owner/ trainer. I. Al Maiki. Second in was Shakeemah under jockey D. Bouland. The Fegentri Lady Riderspiloted thoroughbreds on this first lap of their 2- race series during the Equestrian Festival. Judgement took the win, ridden first under the wire by Berit Weber from Germany. 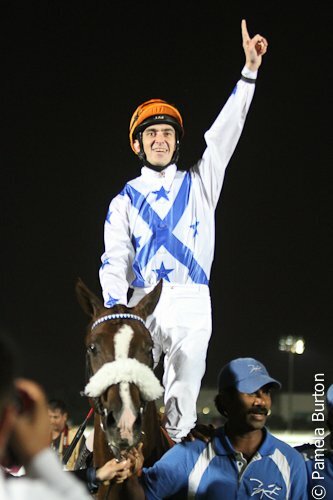 The four year old filly is owned and trained by Ahmed Al Jehani. Walfa finished behind the leader by a head under Italy’s entry, Jessical Marcialis, with third place captured by Perigeux under Sarah Leutwiler from Switzerland. 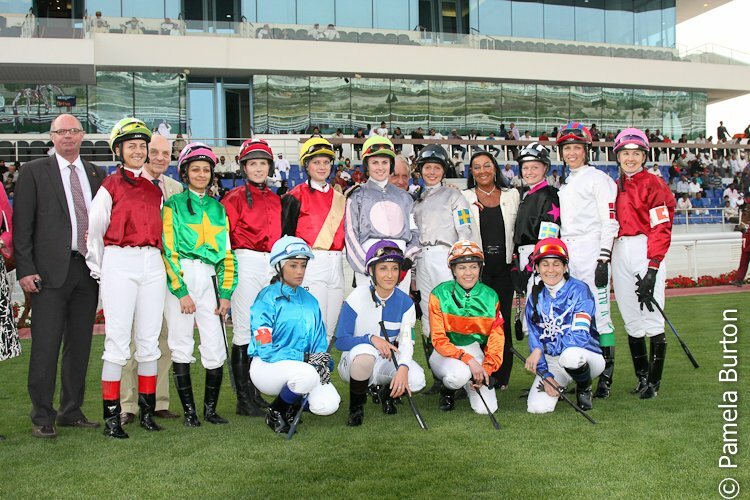 Friday, March 1 will have a seven race card on the final day of the Qatar International Equestrian Festival starting at 1:30 at the Qatar Racing and Equestrian Club. 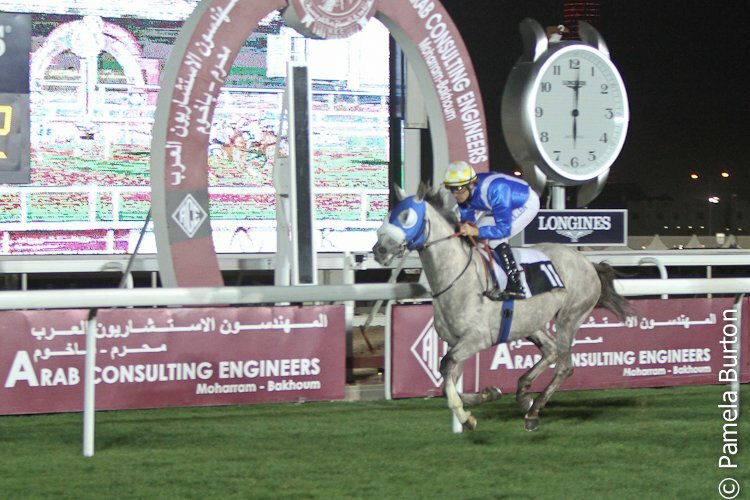 The night’s feature race is the H.H The Emir’s Sword Grade 1, the richest purse of the Qatar racing season at QR 2,000,000 ($500,000).